The father of an “America’s Got Talent” contestant, whose story and performances have captivated audiences, died Thursday, according to a post on the family’s blog. 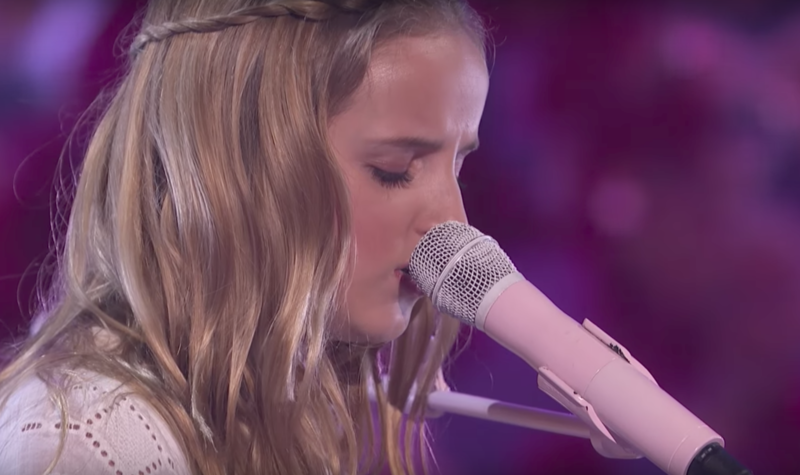 Fans of the reality television show have watched 13-year-old Evie Clair perform with poise on a national stage while simultaneously watching her father, Amos Abplanalp, battle cancer. On Thursday, one day after his daughter advanced to the show’s final round of competition, Abplanalp took his final breath surrounded by his wife and children, according to the Team Amos blog. Hillary Abplanalp has been sharing her husband and family’s ordeal on the blog. The couple has five children, and Amos Abplanalp had been serving as a bishop for an Arizona ward of The Church of Jesus Christ of Latter-day Saints. He had stage 4 colon cancer and was given a 5 percent chance of survival.